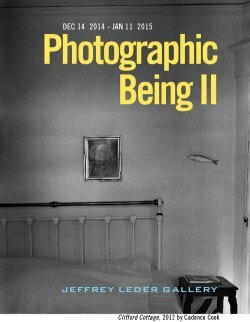 Photographic Being II suggests the embodiment of a moment – the view the photographer has of the world, of being alive in that world. With respect to this, the Jeffrey Leder Gallery will be hosting it’s second exhibit solely focused on photography. Illustrating the progression from vision to tangible art. The exhibit will realize both international and local photographers for their talent and ingenuity. Those chosen will be featured in our New York City exhibit located in an extremely creative environment within reach of many receptive and intuitive minds. Image requirements: JPEG format only on CD: 300 dpi, no larger than 3000 X 3000 pixels. Artists will be notified of selected works via email. Artists must confirm their participation in the exhibition and submission of prints.